News: the nuke bug has now been fixed. "Perfect Soldiers" is a 30-mission trilogy campaign consisting of 3 parts: Crimson Moon, Amber Sun and Aureolin Eclipse. The campaigns were not designed with sequels in mind, and yet sequels they acquired anyway, and now they're all gathered here together so that players can easily access them at the same place. At the time of writing, this is an incomplete project. Crimson Moon and Amber Sun are done and ready to play, but Aureolin Eclipse needs its last missions finished. Those that are ready can be downloaded on this page. Also, note that the project may be subject to alterations even after all the missions are done. Though this is primarily a terran campaign, there are some missions in Aureolin Eclipse that let you play as protoss. "Perfect Soldiers" has a dark, twisty story that's full of memorable scenes and moments, populated by characters that you will both care for and hate. The campaign begins at the intersection of two plotlines: a group of miners that have travelled to the remote world of Roverville in search for fortune, and a Crimson Moon assassin on the hunt for a dangerous terrorist threatening to bring chaos to the sector. As the story progresses, more and more characters enter... until the final showdown in Aureolin Eclipse's last mission. Download the files to your computer, and unzip. The maps should be placed in folders named "Crimson Moon", "Amber Sun" and "Aureolin Eclipse" (depending on which campaign you download) in the "Maps" folder. If the placement is wrong, the maps won't connect (but they can still be played). No mod is required, except for Aureolin Eclipse. Place the file "AEmod" in the mod folder and you're good to go. When starting the campaign, use the mission launcher, which lets you choose which mission you want to play. Tyneara and the rest of the Custom Campaign Initiative for helping build a campaign community. The creators of the SC1 remake campaigns, from where I found the inspiration to using custom music and making atmospheric intros. OneTwoSC, for his Youtube video of how to make a snow tileset. Terhonator, for his mission launcher. The guys over at the Map Art Thread on the Team Liquid forums, for much visual inspiration. Jayborino, for his playthroughs on YouTube and endless support. All my testers, for their willingness to play the bugged, unfinished versions of the maps. Last, but certainly not least: everyone who plays the campaign, and everyone who gives constructive feedback! Hey. Wanted to say what the crowning moment was for me. During the second-last mission when you had to steal nuke towers to blow up Metal Gear Rosie, as Jayborino called it, it has basically turned into a full on nuclear war. I was playing Nuclear from MGS5 when the nukes started to fly, pulverizing Rosie. Then in the final mission when a cover of that very song played in the intro, it felt kinda fated I have to say. You really took a lot of inspiration from MGS with this, but in a creative enough way that it felt yours. It was an incredible journey. Thank you. Says "Unable to open the map" during the loading screen then it bounced out. I want to say that this campaign is a blast for 1 person to do it. So much hard work. It contains lots of interesting ideas and map design and despite maps are a bit tedious and design is not always unique (textures are great and maps look pretty well but it is a bit monotonous imho) playing the first campaign was a great experience. 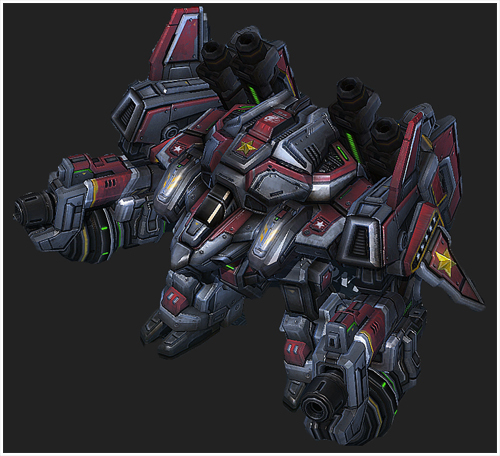 It is totally different to original SC and SC2 (most missions are without base) but it has its own unique spirit which doesnt fit SC universe but great on its own. It is obvious that 1 person cannot do an on-lvl top quality campaign like blizzard but the fact is that this one is probably worth it. I strongly recommend it to anyone in hunger for new SP campaign-like experience in SC2. P.S. Difficulty cannot be set and while non-base missions are quite easy and more storytelling-like which requires minor multitasking skills so can be completed by casual players quite easy, base missions are more like veteran-brutal difficulty for SC2 original campaigns (timers, defense mission). same situation. Hope one day will be fixed. Hey, I downloaded the maps, and I get a metric ton of LocalityFail bugs when I open them in the editor, the launcher included. Any idea what's going on? Not sure if anyone else is having this problem but, Amber Sun 04, near the end of the the escape sequence, a cutscene triggers and Janus is not invulnerable and enemies don't de-spawn or hold fire. It's basically impossible to progress. "Param/Value" for Amber Sun 10 is fixed now! Go to files on this page, and you'll see all maps. but when unrar download link only have 10 map for Aureolin Eclipse? When I tried to set a shortcut to launch the Aurelian Eclipse mission launcher, it says that the map or the mods associated are no longer available. Can someone help with this problem? This breaks my grid hotkey setup. Is there some simple change in the editor I can make to fix that temporarily? On another note, on Amber Sun 05, the primal zerg forces didn't take out the the first transport like they did in Jayborino's playthrough. The quick fix was to psionic lash a tank or a banshee from the first group and run away! You can fix the localization issues yourself as EivindL can't currently - in the editor you should be able to open up a localization menu and check your region which should fix it, but I don't know the details off hand. You may want to pose this question in the General forums. Alternatively, you could appeal to DudkiSC2 to make a quick update to fix this as he assisted in fixing nuke issues after the 3.0 patch broke a few things. Hi, guys. I won't be able to fix bugs atm, as I don't have my main computer with me during the summer. I'd like to second this comment. All Mission Statements and character dialogue are param/vale error or some such. I watched the first bit of the Jayborino screening to see that his worked, but don't really want to spoil the ending. Any fix coming, or ideas why it my be broken? All other missions have worked flawlessly. Thanks in Advance, really enjoying the gameplay overall!